The hugely popular /r/soccerstreams discussion platform on Reddit has effectively shut down. The subreddit has well in excess of 420,000 subscribers but following a final warning from Reddit’s administrators over links to matches illegally posted by users, the sub has voluntarily put an end to all user submissions. Watching most top-tier soccer or football is an expensive option in most regions. Billions are paid out by broadcasters for the rights to matches and this cost has to be passed down to fans. While millions dig deep to fund what has become a pricey sport to follow, others seek a free fix, often in the shape of an unauthorized online stream. These come in many formats, from websites with embedded players through to IPTV and streaming torrent links. While these are widely available online, having these sources listed in one place is much more convenient for the end user. Until two days ago, Reddit’s /r/soccerstreams subreddit aimed to fill that gap. With in excess of 420,000 subscribers, /r/soccerstreams was undoubtedly popular but like similar sections on Reddit offering links to infringing content, the subreddit was also plagued with copyright infringement complaints from upset rightsholders. According to the moderators of /r/soccerstreams, these recently reached “critical mass”, something which effectively shut down the subreddit. “I regret to inform you all that a few days ago, the Reddit Admins got in touch with us about an impending ban of this subreddit if changes weren’t made,” moderator ‘notsoyoungpadawan‘ wrote in an announcement. With /r/soccerstreams being used for announcements and news moving forward, the mod team has revealed that two new subreddits have been created for Premier League content and content from other leagues. There is also a Discord Server for the former. “The aforementioned two are, for the moment, temporary solutions. We are working on a more permanent solution, however, due to the short notice we’ve had to work with what we have,” the mod teams says. The indication that these are only temporary solutions is unsurprising. While it’s unclear which leagues filed copyright infringement complaints with Reddit, it’s more than likely that the Premier League was heavily involved so will take a dim view of any new section set up to carry out the same function as /r/soccerstreams. 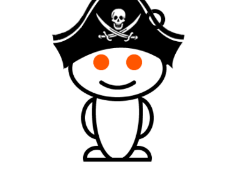 There seems little doubt that if they gain any traction on Reddit or Discord, these new sharing venues will eventually be shut down too since both Reddit and Discord have policies that outlaw copyright infringement and the increasing importance of repeat infringer policies. This voluntary shutdown features just one in a line of similar subreddits that have been shut down following copyright complaints in recent times. Last year /r/megalinks suffered a similar fate as did /r/crackedsoftware. Is There a Mysterious Criminal Case Against WatchAsap?